Motivational Speakers or Motivational Fraudsters? I am very angry with some set of fraudulent people out there. This post is strictly my opinion, so you don't have to agree with me. My paragraphs are not well structured, so please pardon me. 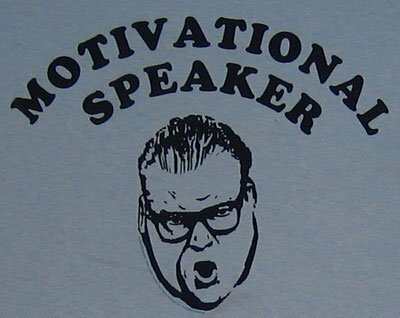 I will be using the word Motivational Speaker and Life Coach interchangeably. In the context of this post, they mean the same thing. I get put off when I see BCs or invitations to a seminar by one roadside ‘life coach’ or ‘motivational speaker’. They have risen, in pathetic numbers, from left, right, and centre. It is as if they said to themselves “Oh, wow. Look at Fela Durotoye. He’s a motivational speaker and a life coach. He gets paid billions to talk. He is so rich. I can talk too. I was the noise maker of my class, my name was always on the list of noise makers, but I have the added advantage of being brilliant. 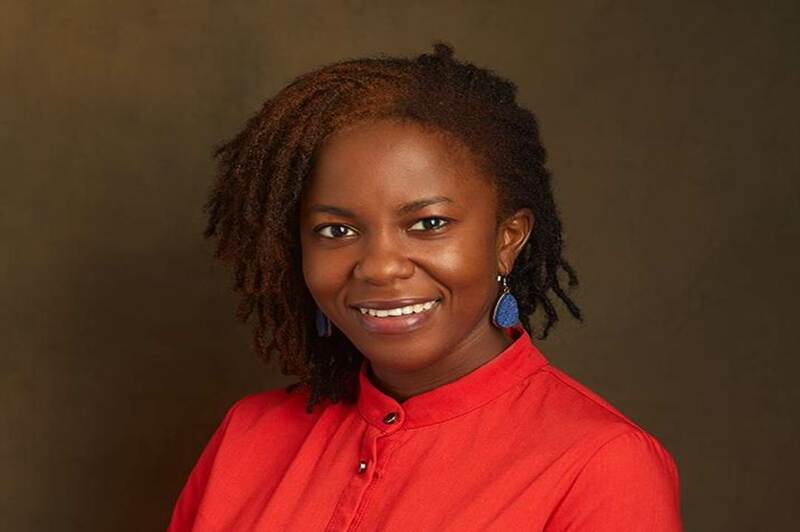 I will be the next Fela Durotoye.” And then, they print Business Cards – Atilola Moronfolu, Life Coach (Or motivational speaker – whichever sounds nicer with their names). I don’t know what reaction to give when I see my friend, who I know is broke, cannot pay rent, doesn’t have a car, in short, hasn’t gone through any process, or really achieved anything for himself telling me to come for a conference because he is a Life coach. What in the world are you going to coach me about? How to run my business? Or how to get maximum output from my staff? If you were that knowledgeable, why hasn’t it worked for you? The same book you are reading all these theories from, I have access to them too. Are you really trying to coach me, or you are just desperate for that N2,500 gate fee? Many people are guilty of this – fresh graduates, people looking for jobs, people looking for side gigs. They just feel life coach/motivational speaker is easy money because they can talk. You don’t need to look too far to find them. They are everywhere. Their full time job is ‘life coach’ and ‘motivational speaker’. They do nothing else, they have no other job or business. They send endless broadcasts about one seminar or the other. They tell you about how they have one more solution or package for you. They sign you up for their newsletters, and bug your email with it weekly. They always have one special gift just for you, but you have to watch one video or the other to access it. They have fancy names. They organize twitter conversation all the time. From what I understand, a coach is a counsellor. They look at where you are now, and where you desire to be at a certain period, and help you get there. They walk with you very closely. In developed countries, you even become certified to be a life coach. The word ‘life coach’ is not what we should be throwing around carelessly like “My name is Atilola, I am a life coach. This is my husband, he is a life coach. Did I tell you I am three months pregnant? And yeah, my baby will grow up to be a life coach too. Even the nanny that will raise him is a life coach.” just because we are looking for an easy source of income. Now Fela Durotoye… let’s talk about that man a bit. The first time I heard him speak was years ago in University of Lagos. Even as at then, this man was a bundle of experiences. In summary, this guy worked, went through some things, learnt some lessons, made some sacrifices, saw some rewards, became a motivational speaker, and that’s putting it as simply as possible. These motivational fraudsters have found a way to flip the coin. In the past people used to gather real life experiences first (mostly from working with several clients, as consultants) and then become teachers, speakers and coaches. But nowadays, people want to become speakers, teachers, and coaches first, and then maybe or maybe not gather life experience. Plainly putting it, they are doing it just for the money, and not because they have anything fantastic to teach or speak about. Maybe I should not blame them too much. It is the situation of the country right? We all want to fend for ourselves. You want to teach me about purpose? Have you fulfilled purpose yourself? Life is not all about theories, so before you organise your seminars, make sure you have your practical real life experiences to back up the theoretical crap you are spewing. If the ‘seven laws of financial freedom’ or ‘five steps to living a happy life’ you want to sell to me are so magical, how come it has not performed any magic in your life? Why aren’t you so free yourself, why are you waiting for that gate fee you want to charge me? If someone like Jumoke Adenowo invites me to a seminar, I wouldn’t think twice about going. She is a mother, a wife, a prophetess, a leading architect in Nigeria (designed federal ministry of Finance at the age of 23), featured on CNN, organizes the annual women’s prayer summit, the head of the ministry, Awesome Treasures Foundation, broke a long-term record when she graduated from OAU, and so much more this post wouldn’t be able to contain. When she stands on stage to talk, you keep quiet because you know for a fact that someone is talking. Now, this is someone who can be called a life coach, someone that will show you the valleys and mountains, not one fresh graduate or jobless youth looking for the easiest source of income. Let’s stop the menace. First, everyone jumped on the bandwagon of cake-baking, then party-catering, events-planning, makeup artistry. Now it is the turn of ‘Life Coach’ and ‘Motivational Speaker’ to take the bandwagon hit. If you aspire to be a life coach, motivational speaker, purpose teacher, or whatever fancy words are being thrown out there, kudos to you. There is a proper way to go about it. Please and please get some real life experiences up your sleeve, so you can have something to actually speak to me about, before telling me you want to come to your seminar with a gate fee of N2000, N10,000, or N20,000, depending on how sophisticated your level of begging is. LOL.. This made me laugh... Atilola is not even smiling at all. I understand where you are coming from. Some people don't have a story or anything to give yet want to inspire others.. To do what? Also, some of these people themselves need the motivation! In my mind I'm thinking - why don't you pep-talk yourself first? Nigerians can like to jump on bandwagons!! No doubt, if you are good at it or like the wonderful example you gave, have something to inspire people with, then by all means go ahead! But if it's for lack of a job (I partially blame the rate of unemployment) then why don't you wait to make it and then come back to tell your story.. Now that would be more relevant! Thanks jare. Ayo is back o. Never disappear again, lol. Ok! Where do I start from sef? Wait! Lemme transfer to my laptop,I no get time for auto correct for this phone jare! #intermission# ...Indian film tinz. Motivational speakers, books and seminars were never my thing! This much I have said in my old blog; I don't understand why someone will ask me what I intend to do in the next 5 years when I don't know what will happen in the next 5 mins! The bible still remains the best motivational and inspirational book to me!Yes! Companies ask during interviews what is your goal or plan in the next 5 years because they want to make sure you will continue to be with them and all their training will not be in vain! And you are expected to tell them what they want to hear! Abi, you no wan get job? Why? Because as usual, Nigerians always abuse any opportunity to make money! And as usual, many people follow the bandwagon, just to belong! Under bridges where 2nd books are sold, most of them are motivational books and how to get rich quick and how to be a millionaire written by successful foreign authors who are in a society that things are workable and poverty is not their main problem, unlike in Nigeria, where many wants short-cut to success! It is always said that, when the pocket is full, the mouth will be confident! And behind every glory, there is a story! Scratch every hero, you will find a monster inside! And behind every success, there is likely a crime! People should ask and not just follow blindly! More-over, some people have solid family support system to see them their struggles and connections! When they make it, they will say it as if it was so easy; Oh! I made up my mind, and with determination and prayers, I succeeded! Really? What of the anger and tears of frustration? The doubts and fears? The lies and cheating? Environment and family setting and spirituality all plays a factor in being successful! Have you watched an old film of Eddie Murphy; Trading places? It simply says the environment one grows up shapes the person's future and success! That was how a guy woke up one morning and said he wanted to write a motivational book! He did not finish his education o, and every other thing he pursued in life, he stopped half way! And he said he wanted to motivate others! To do what? Words are cheap, and an eloquent speaker believes he can be a motivational speaker! Copy text from here and here, with few experiences and hear-says, or fabricated stories, a book is produced! Rent a hall, put up an advert, call 2 -3 friends, a seminar is organized! Oh! REALLY? Nigerians do it mostly for the money! I knew of an unemployed graduate who organised one in a bid to make money but it didn't work out, like you, many saw through it, paying #2k for entrance, if 100 people came,..... what's new to talk about? Determination? Never to give up? Being at the right place at the right time? Networking? Like seriously? Anybody that has been in a university classroom and have not developed this attitude to survive or grew up in the street and is not street wise.....I comment my reserve. More-over, we live in the communal family life, that we discuss any problem bothering us with elders and they will advise or talk to us from their experience, and encourage us. Nigerians like hearing motivational talks from the billionaires and millionaires only! Why? M-O-N-E-Y!!!!! Bill gates is who he is today because of the society he grew up in, that recognizes geniuses and gives them their dues! If he was a Nigerian...... Truthfully speaking, these Nigerian rich or successful motivational speakers do not say it all! Some are so fetish! The politics some play behind doors is best to be imagined! But as usual, they seemingly tell people what they want to hear because there is poverty in the land! An enjoyable post. Happy new month. God knows I like reading your stories. Yes, we are a bandwagon kind of people. Some people don't like to innovate. I really appreciate speakers who are honest, down to earth and practical. They tell you as it is, and some coach you in getting there. All these 2-steps, 5-ways speakers with no application to our environment are something else. Very long but worth it. You've basically said my mind. I'm kind of a person that hates been taught how to live my life. My bible has always been my guide, my personal mentor (Holy Spirit) help me in difficult circumstances. I can feel Atilola's pain in writing this, have tried writing on something like this but my wrist trembles. LOOOOOOOOOOOL, who annoyed you today? BTW, I hardly see these broadcasts. Thank goodness my BBM is strictly limited to 10 people. Lol. Not even in your email? If he is your friend, don't delete him o. Just manage him, lol. LOL. Atilola haf vexed!!! please tell them!! They all need to read this. everyone wants to be something without qualification. All na theory.. for all I know, they only read the executive summary.. and are forming experts! Very well written! They have not wakaed to my side yet sha.. but it must be annoying. Thanks Angel. Glad you can now comment again. Lol at executive summary. You are even thinking too high sef. Totally enjoyed reading this article and I agree with you. Unemployment can push people to do all sorts of things. Another problem is that people hate the process but want the result. They don't really want to the hard work to get to where they hope to be, they want to enjoy the fruits like yesterday. We live in a microwave society, we want everything now without waiting. That is why someone who has no experience about anything says he can coach others about their life. So yes money plays a huge role. Exactly. Once someone sees you made money from something, they just jump on that same thing too. Lool..ore mi Atilola.. I feel you 100%. I have 1st hand experience on this matter sef. I was faced with a bit of delay prior to my NYSC, so I picked up an admin job in the SME sector (with an events company..better one o, no be bandwagon..lol). Wetin my eye no see? Unemployment is really a scourge. People coming up with weird and poorly packaged ideas looking to make a quick buck. I digress. Lemme give you my own gist. So, I had started reading a lot of motivational books and I was riding on a cloud of 'open-eye'. I knew about a few people who got paid to talk, and I thought I could do it too..I even calculated how much I will make whenever I was invited to speak..only thing was I was quite the introvert (sigh). So I read up on public speaking. It took God Himself to help me gain perspective on this motivation business..like, oga, what are you motivating biko? If nothing else, Nigerians like a good story. What is your own life story? Wetin you sabi? No be by John Maxwell oh (i must have read at least 20 titles by him). I was just there, looking like Saul on his way to Damascus, after seeing the light. My foolishness was glaring. At that moment, I decided to set SMART (specific, measurable, achievable, realistic, time-bound) goals, and WHEN I achieved those, I can come back and motivate the whole world (I go charge ehn..e go be like film). Hmmm..come to think about it..this one sef na motivational story sha...ehen, kindly drop your offering before you leave...haha! I like the way you talked from a different perspective, being the one who wanted to make a buck from motivating others. From your comment, I see you being a great motivator. In fact, you have already motivated me. How much did you say your gate fee was again? As an aside, I stopped commenting and by extension stopped reading your blog after you made it mandatory to sign in and removed the ability to comment anonymously (shuuu... na by force to login, ok I no go read again). Thank goodness you lifted the embargo, some of us like our anonymity. 1. You are probably not their target audience as a fresh graduate has sufficient experience to motivate an SS1-3 or secondary school leaver. 2. He/she could be a stand up comic drawing comedy out of (his or others) life experience and consequent lessons (yes people aspire to be stand up comics and this particular one might have a focus on motivating others. I personally know Holy Mallam and this is how he started...somewhat). 3. Ever heard the saying that "a problem shared is half solved"? The dude may only be creating a platform for sharing problems, brainstorming and perhaps solving them. I don't believe you need the same measure of experience as Fela D to achieve this. Some of us did it successfully as undergraduates but didn't pursue beyond that. Some speakers even organise motivational events for free! It might be you ended up with messages/invites from the 2% that give 98% a bad name but that gives you absolutely no right to generalise them all as frauds. It would have been unfair to you if you were tagged a fraud for not having same experience as Soyinka when you began writing and editing professionally. You stopped reading my blog because you couldn't comment? Na wa o. *lips sealed* So how did you know I had lifted the embargo? Anyway, spammers were disturbing my life. After reading your comment, I would say you should read the post again. And this time around, read it in context. But the 'follow the bandwagon' syndrome is real in Nigeria and not just for Motivational speakers o. I see it ALL the time and it is absolutely tiring. I get so many email newsletters (that I didn't even subscribe to) inviting me to one workshop/training or the other. Me sef don tire. Its becoming more irritating by the day. What happened to innovation? All these copy and paste bloggers who don't want to carve a niche for themselves are also guilty. I can totally relate with how you feel though. Sad how people resort to easy ways to make it quick. I feel it's okay to share your struggles with people along the way to 'making it' so as to encourage them not to give up and all but when money becomes the sole aim, then that is questionable. As for these people, money is the sole aim o. Can I say I love you already? Lol. We need to stay true to ourselves and what we have been called to do, not just look for the easiest way to make money without working through the kinks. Bandwagon mentality....that's a stock in trade in Nigeria......I have learnt to ignore anything that doesn't add a farthing to my IQ, income or life.....it's not by force to buy into anyone's charade. I am sure this your topic will touch plenty sore spots so I am gonna grab a chair and read comments. In my opinion, if it touches the sore spots of anyone, the person is guilty, lol. If we want to be honest with ourselves, there's a lot of truth in the post. The hussle to make it in life is universal. There was this man I saw at Ikeja selling a motivational book he authored about how to be a success in life. The man's appearance and dirty dressing were just a far cry from his book. I was highly disappointed. Even most of all these motivational books i used to see are just written by hungry authors who remix what the John Mason and co have written. Aww, thanks. I agree with you. Many of them are just remixed point. Some speakers just come to spew a summary of what Fela Durotoye has been telling me since university days. This is your opinion and there are a few become points which I definitely agree with you. When it comes to any random person posing as a life coach or motivational speaker is just too superficial and they should be keeping away from. However, stating motivational speakers are the fraudsters and blaming entire line of work is too irrational and hasty to reach as a conclusion. There are a few incredible motivational speakers who truly change lives and successfully infuse fresh and innovative perspectives among people. If you are yet to come across one, click here: Motivational Speaker. Hi ! Thank you for your response. I have definitely read the post. But I genuinely felt even though you didn't assert it in plain words that " All motivational speakers are fraudsters", the veiled attack was quite palpable.